​Calling all yogis! 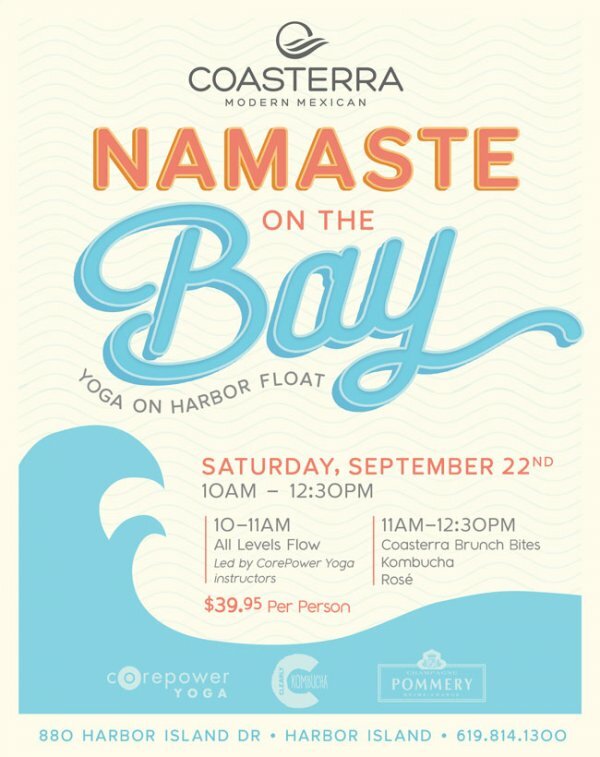 Join us at Coasterra Saturday, September 22nd on Harbor Float for our fourth addition to our summer series, Namaste on the Bay - Corepower Yoga & Brunch at Coasterra. CorePower Yoga’s talented instructors will lead an all levels flow from 10-11am followed by delicious Coasterra brunch bites, rosé & Clearly Kombucha from 11am-12:30pm. Check in will begin at 9:30am. Tickets for the event are $39.95. Space is limited -- our last event sold out VERY fast, so purchase your tickets now before they sell out! For additional information, contact samantha@dinecrg.com.